Retro Soccer from Eight Pixel Square takes an arcade approach to the game, so no complicated controls here. You’ll face a lot of challenges and need strategy to win, but the immersive gameplay will have you coming back for more, even if you’re not the biggest fan of soccer. You use taps and swipes to control your team. Tap an empty space in the field and you will go there. To select a player, just tap them. When you have ball possession, tap a teammate to pass the ball. To do a through ball, long press in a blank area of the field. To shoot, swipe the screen. If you’re on the defensive end, tap the opposing player for a tackle. Or you can swipe to do a pitch slide tackle. Keep track of the edge of the screen because they turn yellow when you slide tackle. If the yellow color gets too thick, you’ll be issued a yellow card. 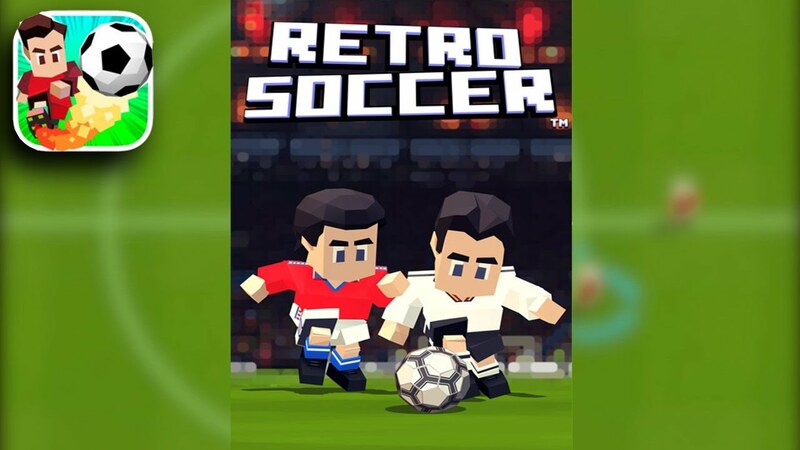 Retro Soccer has several modes including a career, plus there are leagues, cups and challenges that will test your capabilities. You also get access to cards so you can get new players. The more you play the game and rack up the wins, the more players and features you will unlock. This isn’t a complex soccer simulation however, as the game moves quickly. If you love fast paced soccer games without any complications, then this is something you will enjoy. Retro Soccer is not the only football game out there, but it is a good one.